Today’s world of continuous services and connected devices demands that applications and data will be up and available. Because today’s world demands mission-critical capabilities, we believe achieving mission critical is no longer reserved for the few who have mega IT budgets. The new mission critical is about supporting your business objectives while delivering irrefutable ROI. With SQL Server 2012 just released to manufacturing, we’re excited to share how SQL Server has been battle-tested for the new mission critical with proven ROI. We’ve already seen hundreds of global organizations quickly adopt SQL Server 2012, including Volvo Car Corp., Revlon, the HSN, Sanofi Pasteur, Klout and LG Chemical, to name a few. 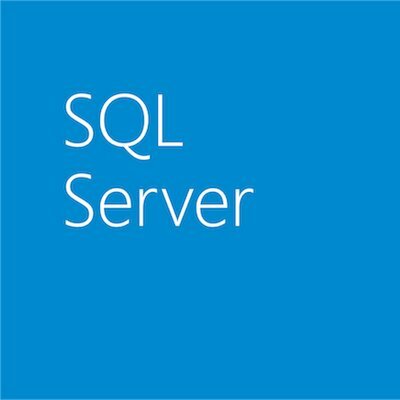 Customers are already experiencing a wide range of value from SQL Server 2012 including leading availability and performance, business-changing self-service BI capabilities, and built-in connection points and development infrastructure for Hybrid IT—helping make SQL Server 2012 their cost-savings platform for the future. Home Shopping Network (HSN): With SQL Server 2012, HSN can better support growth plans and can offer customers and business partners highly available digital platforms. In addition, HSN will reduce application failover times from 40 seconds to almost 3 seconds. BMW Group: Although they looked at Oracle and other vendors, choosing Microsoft was easy for BMW Group, because Microsoft technology had proven to be reliable for the company in the past. The firm tested a new Microsoft high-availability solution [AlwaysOn], which the company expects will provide the 100 percent uptime it needs and help the company save money on storage costs. City of Virginia Beach: SQL Server 2012 AlwaysOn cuts maintenance downtime and improves customer satisfaction. The solution saves hundreds of thousands of dollars compared to Oracle and helps Virginia Beach avoid as much as U.S. $50,000 in annual maintenance costs. Det Norske Veritas (DNV): With SQL Server 2012, DNV has improved availability and increased its flexibility. The company has also cut failover time from more than 10 minutes to seconds and reduced the time it takes to make database copies available from hours to minutes. Motricity: Deployed SQL Server 2012 because it offers xVelocity in-memory technologies to support the high input-output (I/O) demands of predictive analytics. They also use SQL Server AlwaysOn to support high availability and disaster recovery. As reflected in the customer examples above, SQL Server 2012 delivers the high-value mission critical support, built-in, that today’s world demands. The new mission critical is about supporting your business while delivering irrefutable ROI. Customers were excited to talk to Forrester Consulting for a Microsoft-commissioned study on the Total Economic Impact (TEI) of upgrading to SQL Server 2012. The objective of the Forrester TEI framework was to identify the cost, benefit, flexibility, and risk factors that affect the investment decision. This study found that SQL Server 2012 delivers an ROI of up to 189% with a 1-year payback period¹. We couldn’t be more excited to launch SQL Server 2012 to deliver on the needs of the new mission critical – where mission critical is simply expected with proven ROI while helping enable future growth. Don’t wait. Explore the benefits SQL Server 2012 could offer your organization—try it today!